You wanted to lose weight. You tried running, not eating rice, daily exercises — but nothing seemed to be working and the fact that you can’t wear your favorite cigarette pants annoys you more and more. Well, this is the scenario in my case. 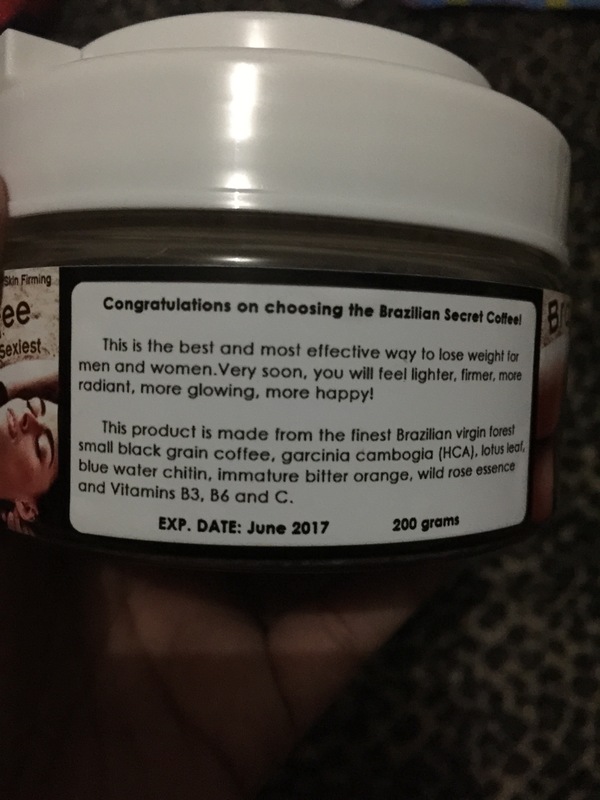 Thus, I was more than intrigue and curious when I read about the Brazilian Slimming Coffee, a weight reducing product being marketed by a local celebrity. the secret to weight loss? 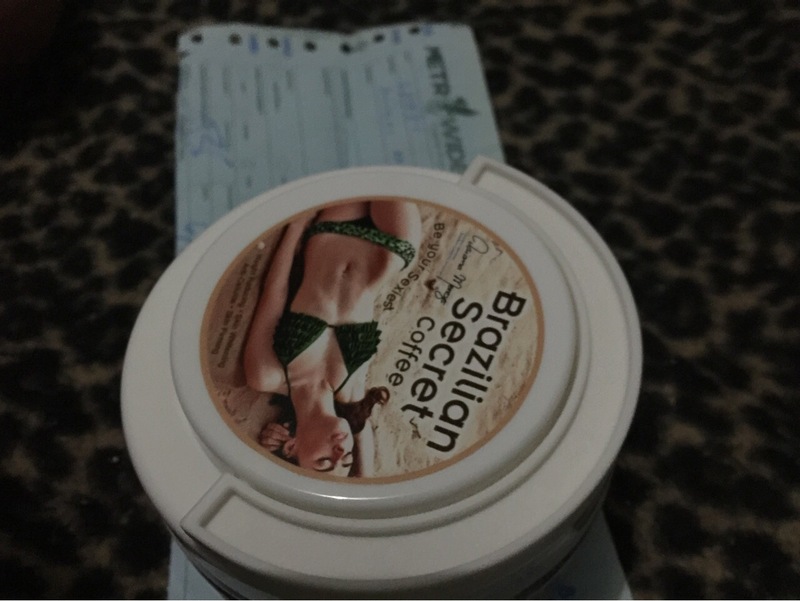 The celebrity who distributes this locally is Daiana Menezes, a Brazilian-Japanese model and host known for her enviable body. While I can only wish that I will be able to at least reach even half of the enviable physique of Ms. Menezes, my goal is to reduce the big tub of lard I carry on my middle size while also lessening at least 10 to 15 pounds if possible. Currently, I don’t eat rice and I love brisk walking though my occasional downfall is my unexplicable love for sweets. 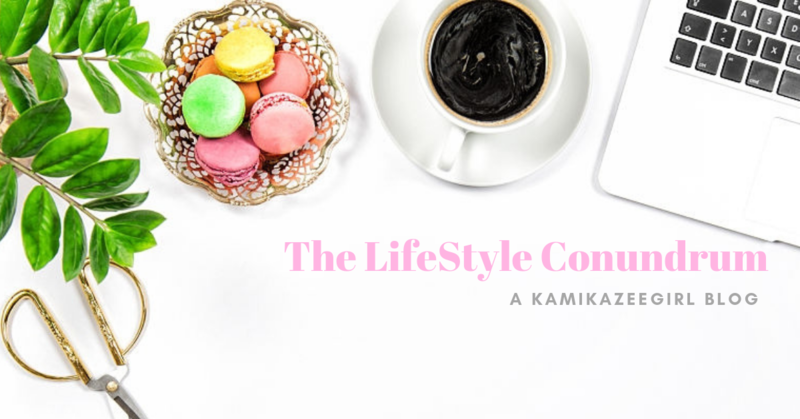 Aside from Ms. Menezes (a credible endorser if ever there’s one) — what convinced me to buy was the numerous testimonials from clients who tried the product. Some were able to lose 3 pounds, but some were able to shed up to 32 pounds! Process of ordering is simple: orders are placed via Viber as indicated in their Instagram account. The 200 gram jar is 680pesos. You can pay fort our purchase through BPI and BDO. The product will arrive after 1-2 days. Shipping is not free. If you are from Metro Manila, shipping is about PHP40. I started drinking the coffee since Sunday so this is already my 3rd day. Some testimonials on their site says they started losing weight after three days – I don’t feel anything and I don’t seem to have lost weight already. For your reference, I now weight 80 kilos . 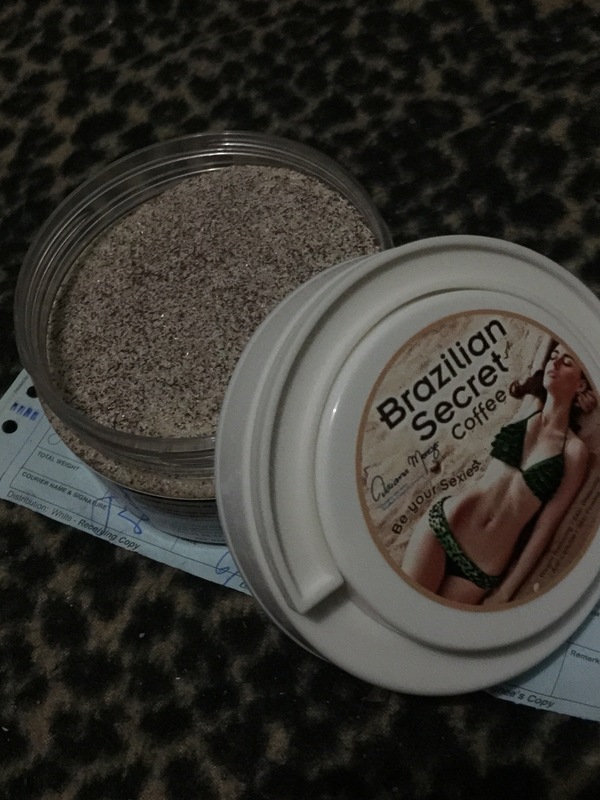 I will post here updates if I have lost any weight at all as I finish my first jar of Brazilian coffee. Smell – upon opening of the lid, you will immediately smell of coffee, with a hint of earthy-chocolates undertone. Taste – this coffee actually taste good, it is not too sweet or creamy; but with a slight hint of bitterness. Effect – I did my research before buying this product. Apparently, there was a proliferation of Brazilian coffee before usually available on Chinese drug stores. These were banned for a while due to the not-so-pleasant side effects like dizziness, diarrhea and even palpitations. You will not experience any of the above when you drink this coffee. The only visible and very obvious effect is that you will feel thirsty every time. The first time I drank this coffee, I had to go and pee every time. You will drink, drink and drink. I’ll make sure to update this post and report if this stuff really works. I know in the end, nothing beats working out and losing weigh the natural way. However, I also believe there’s no harm in trying and as long as I won’t damage my body, there’s nothing wrong with trying new things.